“You know that you know nothing. Find out that knowledge. That is liberation” (Sri Ramana Maharshi). Source is Talk 12 in “Talks with Sri Ramana Maharshi”. 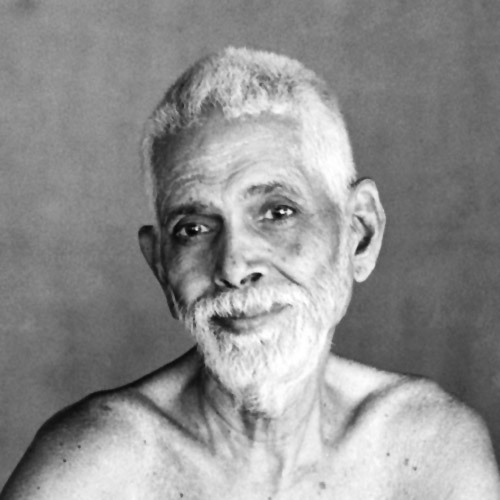 Comment: I love this quote because Bhagavan Ramana is pointing out that all that is “known” to us is transient and always changing. There is no stability or any type of permanence in our experiences or perceptions. Hence our so called “knowledge” has no substance. We don’t know where we were before we were born, and we don’t know where we will go after death. All we have is the present and the only thing that is self-evident to us is that of our existence. if we reflect carefully, we see that the most fundamental mystery of life in terms of who we really are announces itself only as this vast unknown. Sri Ramana is thus saying that we should understand that we do not really know anything and look deeply into this “unknowing.” That leads to liberation. To me, this is stunning in both its beauty and simplicity.